A few months ago, Los Angeles based artist Mija and Portland artist Kelli Schaefer were connected by a friend via the internet. When the friend shared some of Schaefer’s recent work with Mija, she discovered a personal connection to the song “Bad For You”. The heart-wrenching depth of the lyrics and Schaefer’s voice stayed with her, and she reached out to ask if she could rework the song as a personal exercise, without ambition or expectations. Kelli was excited to work with someone outside of the indie rock scene and sent the vocal acapella to see where it might go. 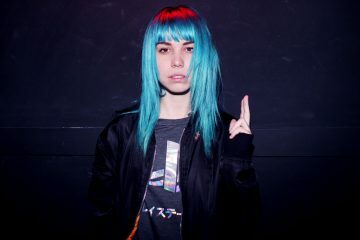 Over the course of the next few months, Mija reproduced the song and the two artists decided to re-release this new version as the first single on Mija’s forthcoming debut release.